he Former Fab Scale Platform incorporates a combination scale or weigher into your processing function while also affording a way to effortlessly wash and disinfect the scale buckets. 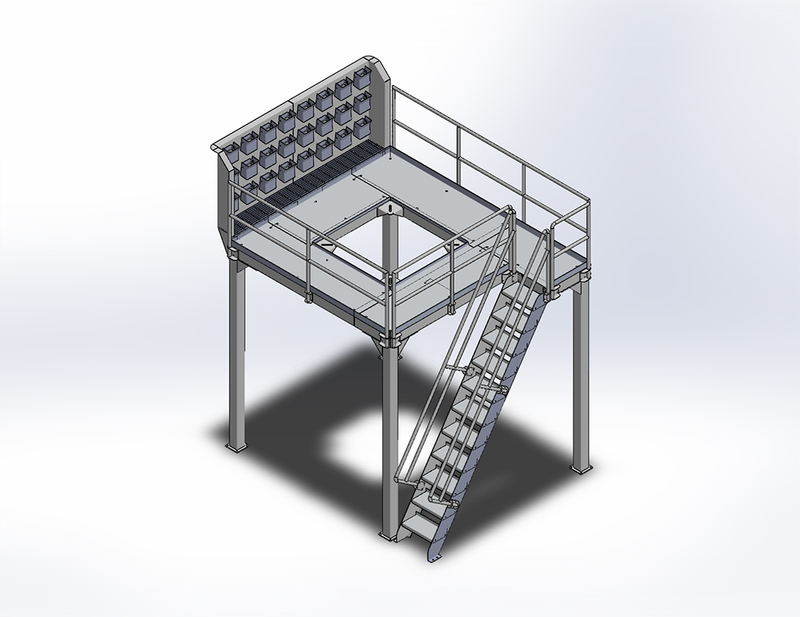 This OSHA-complaint mezzanine includes an inclined floor and drain to remove residual water, anti-slip decking for increased employee safety, and an optional wash wall system that depending on your scale size contains 20, 28 or 32 scale buckets for easy washing and reassembly. The Scale Platform comes complete with optional scale bucket wash stations that depending on your scale size hold a total of 20, 28 or 32 buckets for easy cleaning. The platform has been devised with sanitation in mind, angled to a drain to remove residual water and rated for power-wash cleaning. 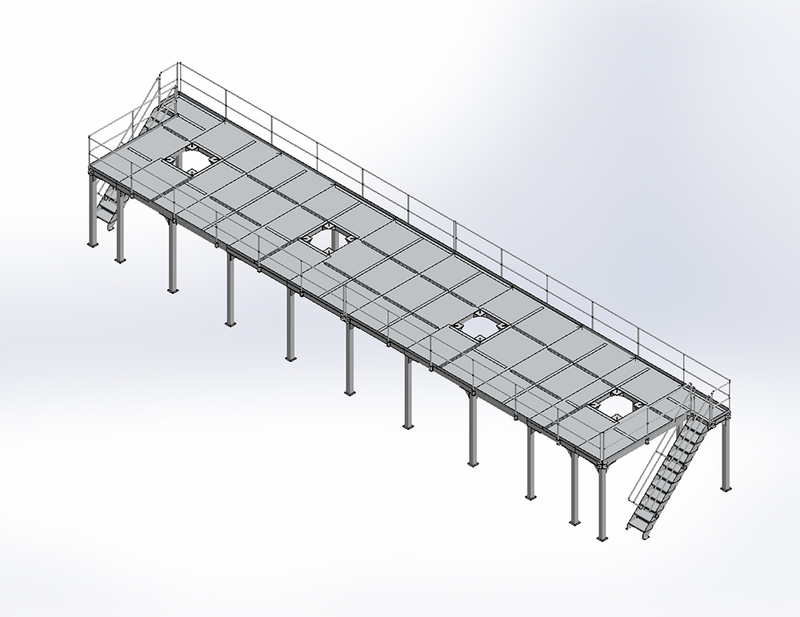 The Scale Platform is equipped with numerous safety features, incorporating anti-slip decking, toe kicks, handrails and guarding, and is angled to drain residual water. 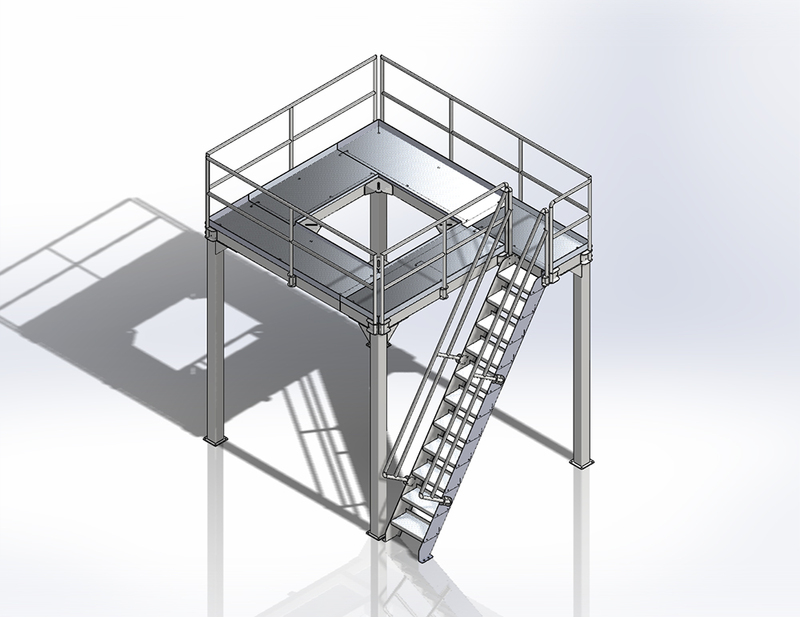 Each Scale Platform is custom designed to the specific scale to be integrated and client’s specific requirements.